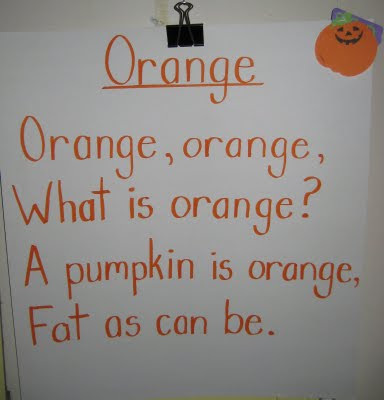 We're talking about the colour orange -- and this week we'll talk about the word family _at -- and rhyme words with fat (cat, sat, hat, etc). Understanding of word families and a good sense of rhyme helps children read and write. If you can spell cat, you can spell mat!